We decided to head up to Taree for the Taree Tip Riders PBM Hardrock 6 Hr about 2 months prior to the big day. By the time Aug 20 came around for race day however, most of our training plans had been well and truly trashed thanks to winter flu’s and colds. Momentum Is Your Friend fronted up regardless with a two person, women’s team consisting of mtb coaches Leanne and Bec. And their chest infections. And coughs. And other excuses no one wants to hear. 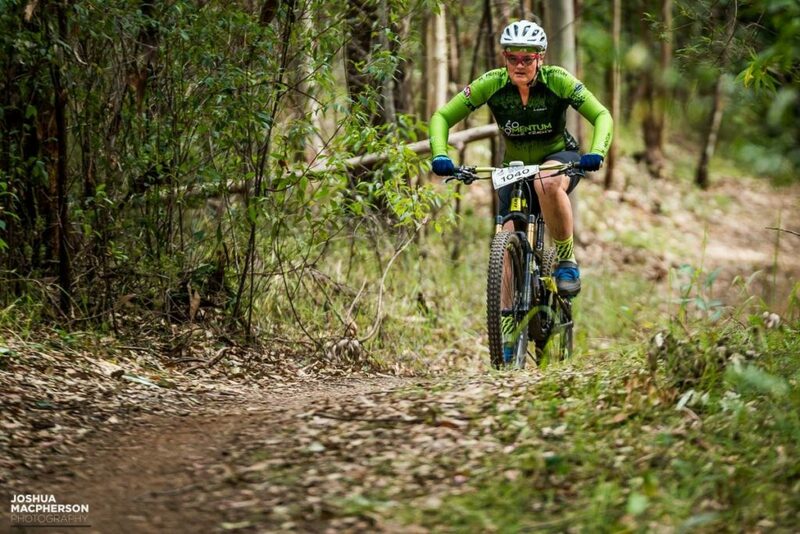 It was just a matter of refocusing our intentions and attitudes from, going to compete for a win in our category, to simply enjoying the awesome atmosphere these types of mtb races provide for every rider who enters. So then, the day of the race dawned and we left the northern reaches of Newcastle about 6am and rolled into the Kiwarrak forest and parked about 7.45am. The place was already buzzing. There were riders for miles warming up and getting their steeds ready. The smell of leg oil was instantly noticeable as we also joined the fray and began to set up for the day. It was great to see riders from the local area and Newcastle but also from far off places like Armidale, Sydney and the like. Some had chosen to rock up the previous day and camp, while others, like us, chose an early start to make a big day of it. Once we had our spot sorted we headed for registration and grabbed some of the hot breakfast food and coffee on offer. With our race numbers on and bikes raring to go it was time for Leanne to roll down to the start line. The race would begin with a climb up a fire-road to help sort the more fit riders from the weaker ones. Leanne knew her skill set would keep her moving well in the single-track so she positioned herself mid pack for the start. The race started at 9am and the guns fired off up the fire-road and disappeared in a matter of seconds. Leanne maintained her position mid-pack and enjoyed the free flowing pace set by the riders ahead and around her. For the first 5 k’s Leanne managed to hold position on the undulating but very fast trail and not get overtaken. Using her trail scanning skills, she kept her flow up by concentrating hard on her corner entries and exits, making sure nothing surprised her out on the trail. This was important because, although Leanne has ridden in the forest before, she had no idea of the course, it’s layout or the technical features ahead. By this time, with half of the first lap behind her, it was time to ease back and settle into a pace that her lungs, legs and mind would cope with for the next several hours. The 2nd half of the course was challenging to say the least. Although similar to the rest of the course, this section featured a series of pinch climbs that served as ‘A’ lines if you didn’t want a substantial time penalty of taking the longer ‘B’ line climbs around them. Even the best riders were finding the toughest of the pinch climbs, the adeptly named “Widow Maker” too tough and steep for most. Even though only a few metres up, the Widow Maker goes skyward at an angle most jet pilots would be proud of. It would become both the nemesis and/or the greatest achievement of the race for many riders this day. By the time she rolled into the staging area to hand off to Bec, she had a grin like a psychopathic killer clown due to the fast and flowing nature of the final kilometre or so. The Taree Tip Riders had made certain that each lap was going to finish on a high, and it sure did. Bec rolled out with the added advantage of more space between riders as her first lap, the team’s second, began. Bec’s lap consisted of her gravity enduro experience coming in handy as she carved up the track to stay ahead of any would be competitors. Not even her considerable momentum was enough to rule the Widow Maker though as she, like Leanne before her, charged it and jumped off half way to run up the final pinch and remount at the top. This would be the strategy for several of Momentum Is Your Friend’s laps to come. Bec’s face was a picture of contentment as she flew into staging to send Leanne back out. Bec had not only belted out a fine first lap, she had faced and conquered her weakness of skinny bridges when a fast exit to a corner had revealed a fast approach to a narrow, raised creek crossing. No time to panic… snap into the right body position, focus on the far side and flow girl flow. Nailed it! She had this! While one girl was out on track, the other enjoyed the company of rider’s they knew and many they didn’t. With a large amount of first time mtb racers out there (many with limited fitness), being mtb coaches obviously attracts attention. The Momentum Is Your Friend girls were both more than happy to give hints to other riders who came over and asked for advice on riding the various trail features the track offered. They even assisted their immediate competition when the lead women in their category asked for advice on leg cramps. This is mtb racing for the majority of the riders; it’s more about the fun and sharing than it is about winning. Especially for the ladies but also many of the men as well. When the race was all done and dusted, the Momentum Is Your Friend girls were super impressed with what the Taree Tip Riders club had achieved. The event was a well run affair and a ton of fun. 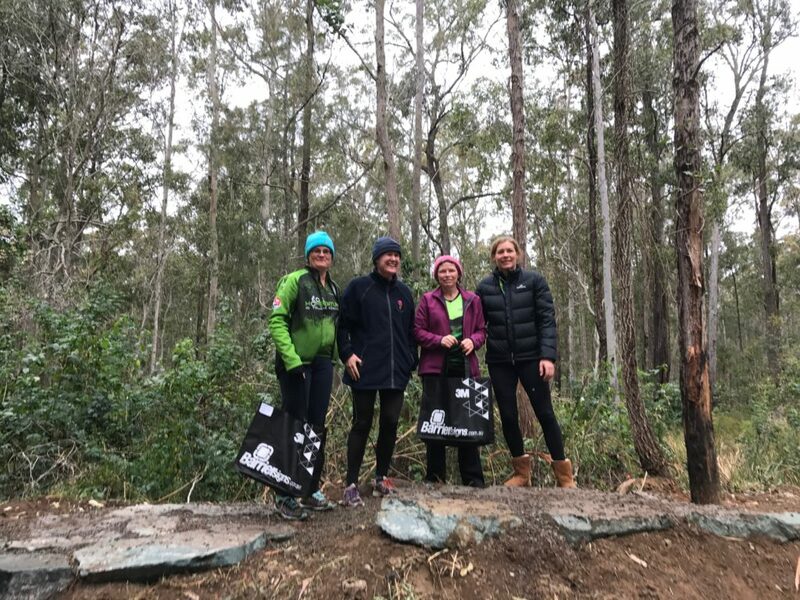 The trails were in top condition, a strong reflection on the Taree Tip Riders and their commitment to trail maintenance. 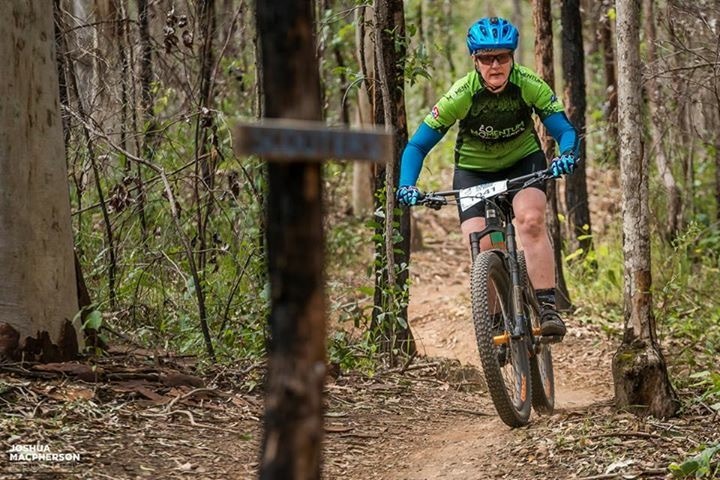 Look out for future social ride opportunities with Momentum Is Your Friend up on the Taree trails and for those interested in joining in on future races up there or elsewhere in our region, by all means just ask. We’ll be happy to help you find your way into some casual mtb endurance racing if your interest is piqued.